The Sunday Times’ Sixth Form College of the Year 2015, the London Academy of Excellence (LAE) is a highly successful free school in Stratford established in 2012 by leading independent schools: Brighton College, Caterham School, City of London School, Eton College, Forest School, Highgate School, King’s College School, Wimbledon and Roedean School. These schools continue to provide subject help and governorship. Increase the supply and quality of A-levels in Newham and thus university entry. Establish a broad approach to education based on an independent school model. Encourage greater social mobility within Newham. The LAE was initiated by Brighton College after it was brought to their attention by the Head of Kingsford Community School that the area’s brightest pupils had nowhere to go for sixth form. The London Academy of Excellence was opened under the government’s free schools initiative in 2012 and offers ‘facilitating subjects’: subjects which will best support applications to top universities. It also offers an extensive programme of co-curricular activities such as sports, music, drama, House competitions and volunteering reflecting independent school practice. The independent schools involved in the LAE’s formation are keen to share their expertise and be involved with the school academically and in its extra-curricular activities. Each house in the LAE is linked to a partner school, the houses visiting their associated schools to get to know their equivalent sixth form ‘buddies’ as well as hosting their buddies in Stratford. This brings students together from different sectors, allowing them to see what they can learn from each other as well as providing them with potentially useful contacts for the future. One LAE student stated: “I still speak to my buddy as we’re applying for the same course”. The LAE regularly plays its partner schools in sporting fixtures while different partner schools support different departments within the academy. Eton College has seconded two English Literature teachers who work on a part time basis, in 2014 88.7% of English A-level students gaining A*-B. Caterham School’s Head of Spanish, Mr Parker, visits the LAE weekly and provides ongoing support and mentoring for teachers and pupils while Caterham also assists with university applications, the Head of Science providing specialist help for aspiring medics. Also, James Allen’s Girls’ School provides support for Oxford and Cambridge applications while Francis Holland School works with the psychology department. The school’s governing body includes a representative from each of the independent partner schools, often the Head. The LAE has proved increasingly popular, with 2000 applicants for 200 places in 2015. 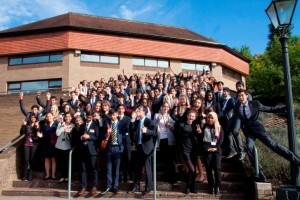 The school succeeded in its first year to double the number of pupils in the borough attending Oxbridge. The numbers of pupils gaining university places has only increased, in 2016 eight pupils receiving Oxford or Cambridge offers and three-quarters of pupils gaining Russell Group University places. The success of the LAE has inspired the establishment of the London Academy of Excellence Tottenham (LAET). This has come out of a partnership between Highgate School and Tottenham Hotspurs Football Club with the support of the Department for Education and plans to open in September 2017.